I haven’t been out and about as much as I’d like of late – dentists, Tamil lessons (and probably laziness…) all to blame. Not to worry, it gives me a chance to post about a trip I took all the way back in November shortly after arriving. 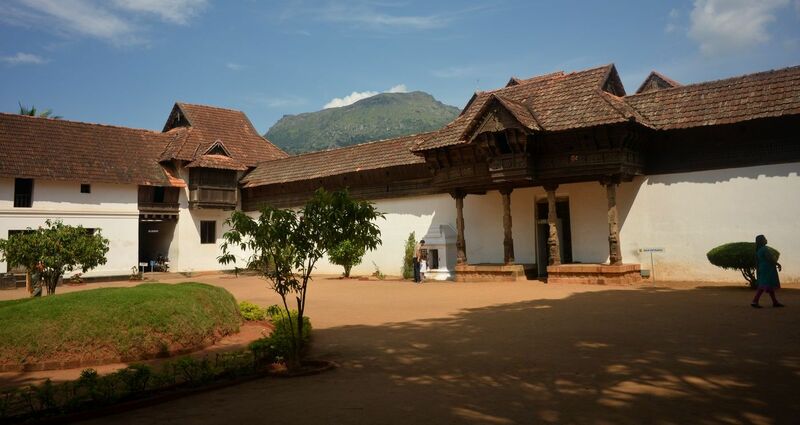 Padmanabhapuram Palace was on my way to the southern-most tip of India and is just outside the town of Thuckalay. Although located in modern-day Tamil Nadu, it was actually the palace for the historic rulers of what’s now Southern Kerala – the Travancores. The Travancores by the way, are known as one of the Indian kingdoms that while ‘under the protection’ of the British, kept a good degree of independence during their rule in India. So much so, that on Indian Independence, an attempt was made for the Kingdom to remain independent of the rest of India – it wasn’t to be of course. This entry was posted in Uncategorized and tagged India, Kerala, Padmanabhapuram Palace, Tamil Nadu, Thuckalay, Travancore on February 25, 2014 by jp1100001.